The stardom of the celebrity kids is only growing day by day. From Taimur Ali Khan to Misha Kapoor, Suhana Khan to Ananya Panday, the star kids of all ages have been popular on social media. Shah Rukh Khan and Gauri Khan’s daughter Suhana Khan is effortlessly tagged as graceful and a stunner. She is very calm and composed around shutterbugs and is definitely an Internet favourite. While Suhana is miles away from taking a decision to enter the glamorous world of Bollywood, she sure seems ready for it. Suhana Khan, who is studying in London, is often seen spending time with her close friends. 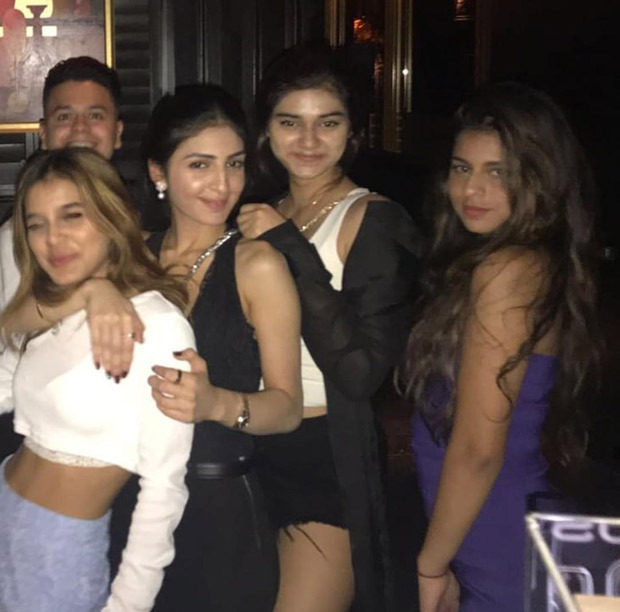 Just a couple of days ago, Suhana was partying with her friend and a couple of pictures and videos are doing the rounds of social media. In a video, she is seen posing for her friend’s camera when she gets excited as Rihanna’s song ‘What’s My Name’ started playing. She was even seen posing with a couple of her friends. Another picture is doing the rounds of the fan club in which Suhana seems to be lost in deep thought. The sun-kissed picture is a throwback click.